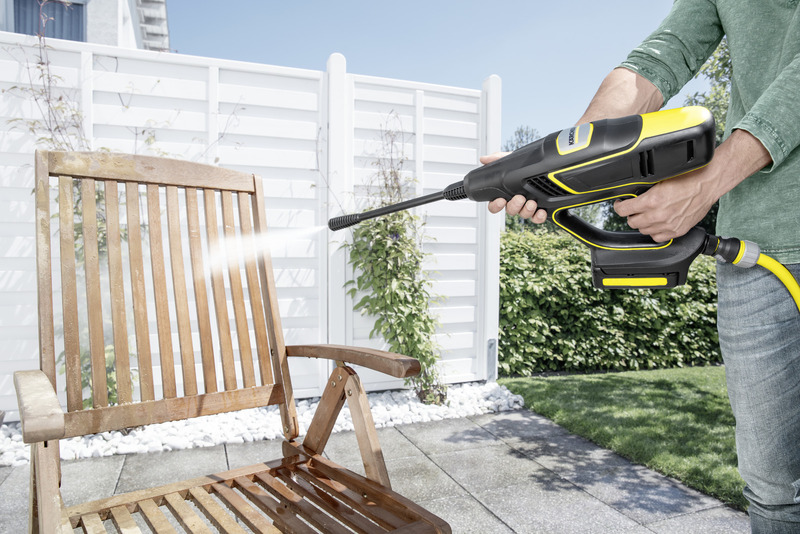 KHB 5 Battery 13280000 https://www.kaercher.com/int/home-garden/mobile-cleaning/khb-5-battery-13280000.html The handheld Kärcher battery-powered pressure washer for various applications without a power connection. 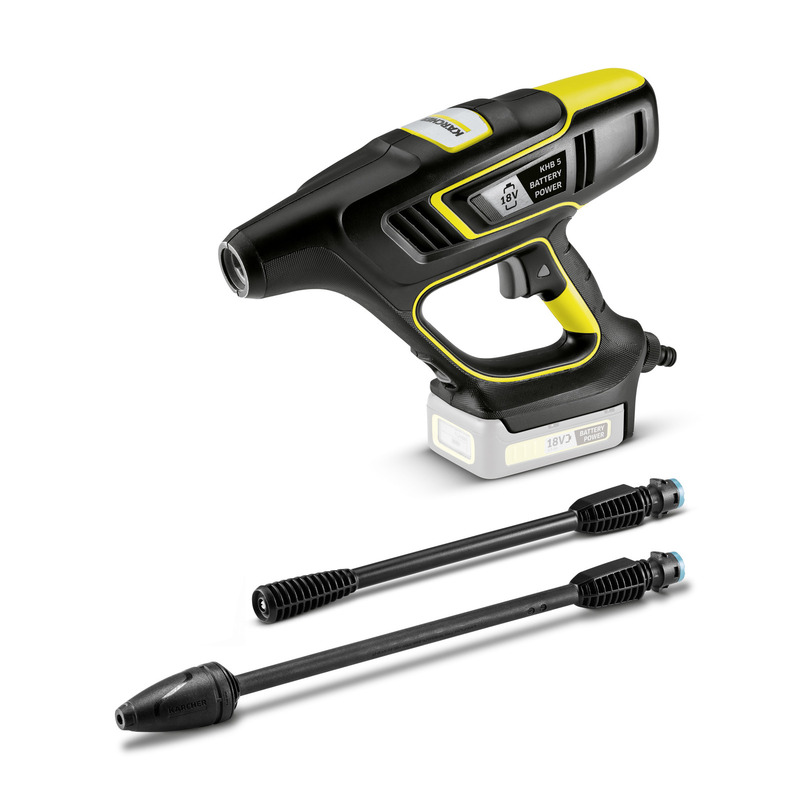 Suitable for the 18 V Kärcher exchangeable battery and ideal for quick intermediate cleaning. 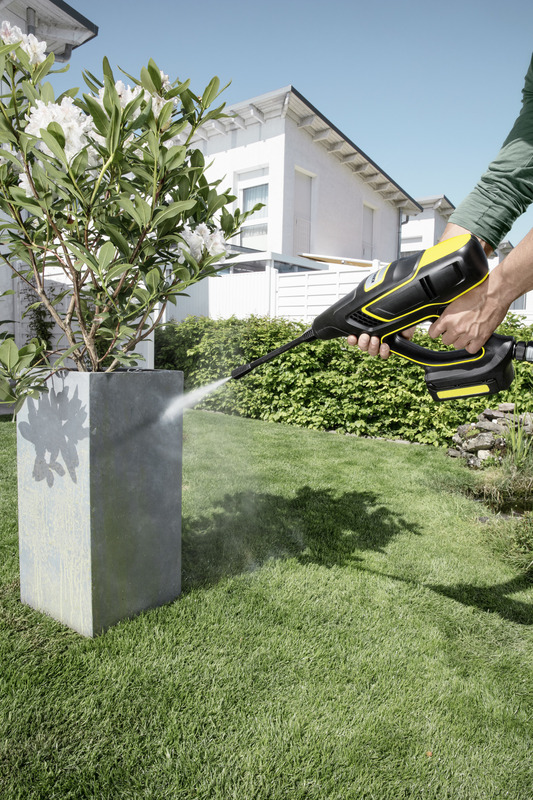 The handheld Kärcher battery-powered pressure washer for various applications without a power connection. 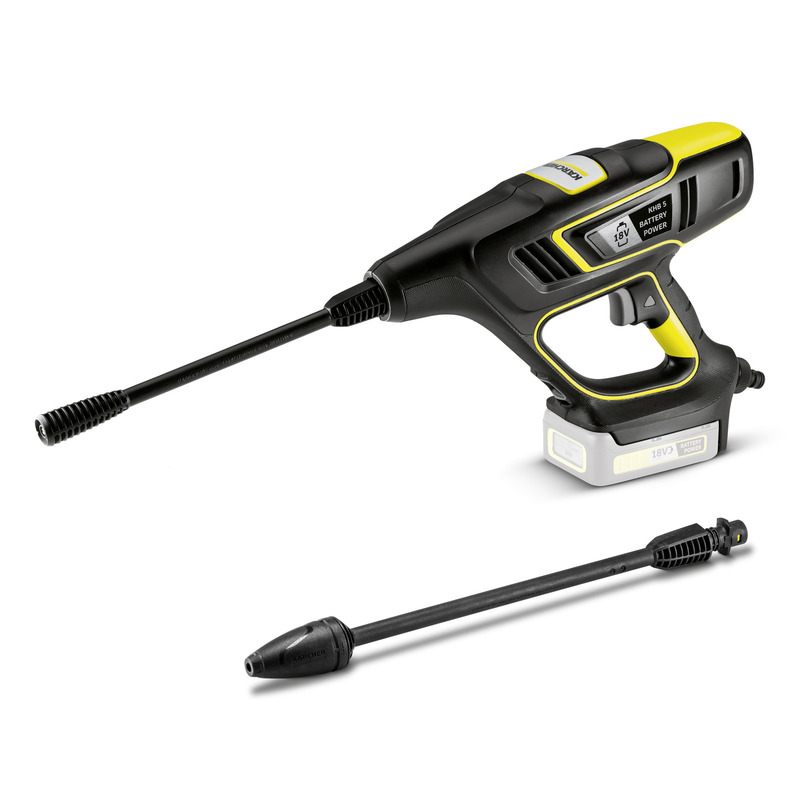 Suitable for the 18 V Kärcher exchangeable battery and ideal for quick intermediate cleaning. 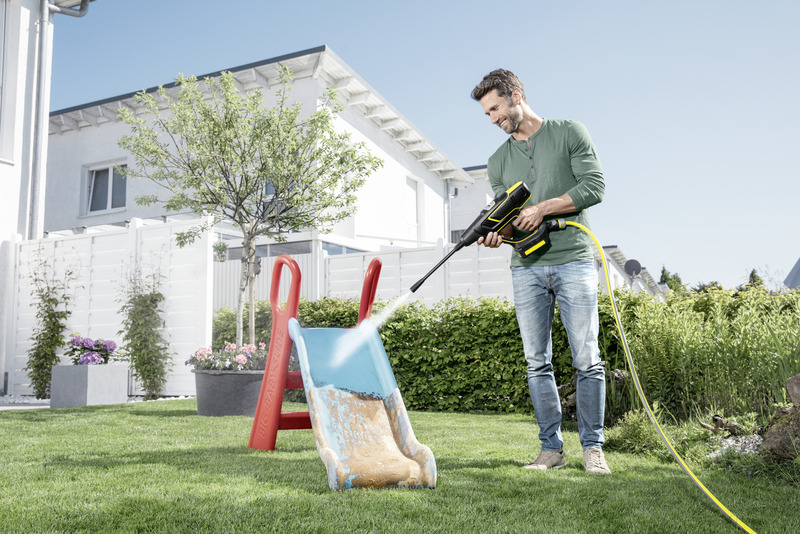 The Kärcher Handheld battery-powered pressure washer is ideal for the quick, intermediate cleaning of garden furniture, garden tools and bikes, and for other applications around the home. It is flexible and quickly operational – just connect the hose and you are ready to go. You can clean without the need for a power supply thanks to the exchangeable battery. The handheld cleaning device is compatible with the 18 Volt Kärcher batteries (battery not included in the scope of supply) and makes a cleaning time of 10 minutes possible (with an 18 V 2.6 Ah battery). The remaining battery lifetime can be easily read from the battery via "Real Time Management". Sensitive surfaces can also be easily cleaned with the efficient, but gentle cleaning jet. In addition, the compact cleaning device can be easily stowed away. The MJ 24 Handheld Multi Jet spray lance with five different nozzles.